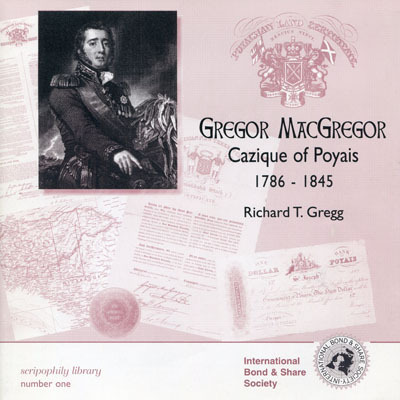 Gregor MacGregor: Cazique of Poyais 1786 – 1845 by Richard T. Gregg. 1999, 28 pages. This is publication number one of the IBSS publication program. This is a very readable book on one of the most famous land frauds ever perpetrated. The author, Richard Gregg is a past president of the USA Chapter of the International Bond and Share Society. ISBN: 0-9511250-2-8. This book is available from the IBSS for £5 plus postage. 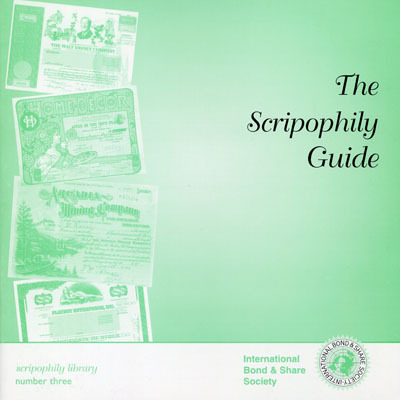 Please contact Philip Atkinson at secretary@scripophily.org for further information. 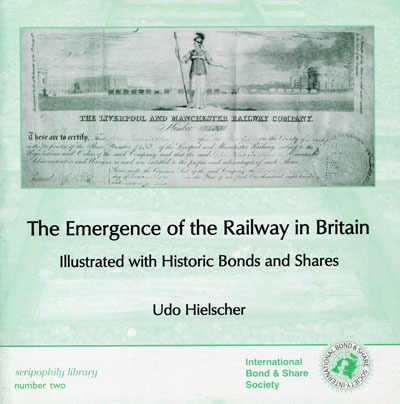 The Emergence of the Railway in Britain – Illustrated with Historic Bonds and Shares by Udo Hielscher. 2001, 32 pages. This is publication number two of the IBSS publication program. This is a fine outline of the beginnings of the railway industry in Britain. Also included are many illustrations of related bonds and share certificates. ISBN: 0-9511250-4-4. This book is available from the IBSS for £5 plus postage. Please contact Philip Atkinson at secretary@scripophily.org for further information. 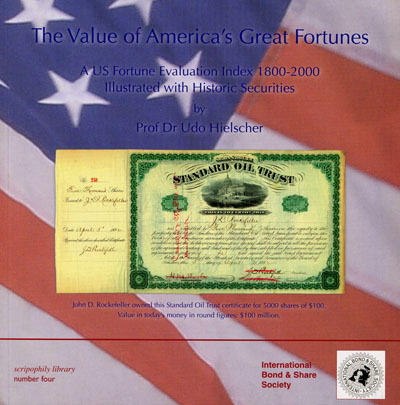 The Value of America’s Great Fortunes: A US Fortune Evaluation Index 1800 – 2000 Illustrated with Historic Securities by Dr. Udo Hielscher. 2010, 96 pages. This is publication number four of the IBSS publication program. This book attempts to place present day valuations of some of America’s wealthy. It is also illustrated with a number of related share certificates. ISBN13: 9789081527101. This book is available from many scripophily dealers.